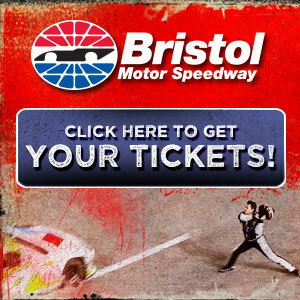 Carl Edwards: an interesting idea....will NASCAR buy it? Should driver do it on their own? 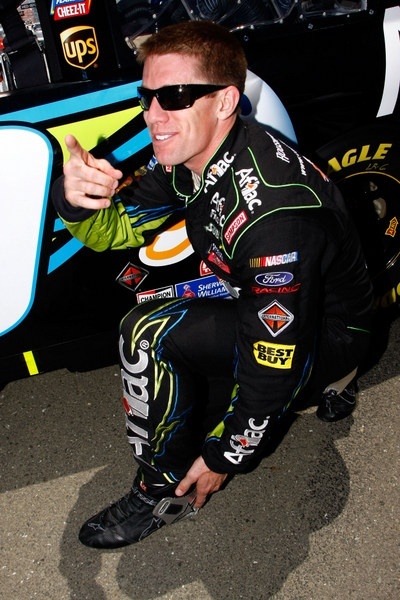 Carl Edwards, after several days of pondering the AJ Allmendinger situation, is suggesting stock car drivers hire a drug testing firm of their own, to work with NASCAR's own drug testers, and provide a second opinion of every drug test. "I've thought pretty hard about this. Let's be honest -- this is an imperfect world. People are imperfect, tests are imperfect," Edwards says. 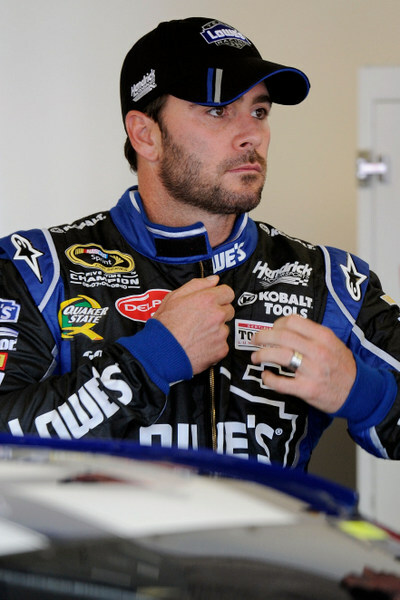 Edwards is known as one of the physically fit drivers in the sport, with a ruthless workout routine. With dietary supplements, like energy drinks and protein powders, apparently one of the possible issues in the Allmendinger case, Edwards points out "One of the first things my trainer told me was 'Be careful. Anything you ingest is made somewhere. And you don't know what that factory was making the day before it made the product you're using. "Even if it's just a whey protein powder, or something like that, you have to really watch what you ingest. 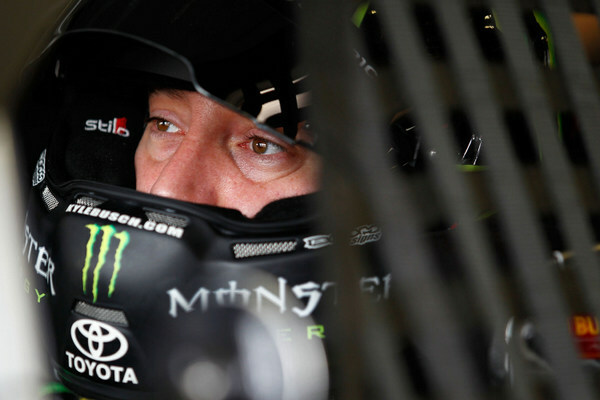 "I think the drivers need to get together, and we need to have our own group -- that is paid by us -- that works for us...to be here, in tandem with the NASCAR drug testers. To test us at the same time. "So we don't have just an A and B sample, but an A and B testing facility. "And we can all agree on the facilities. That's no big deal. I don't think it would be a contentious thing. "I think that would remove almost all doubt in any situation about a 'positive' test. "If a driver had someone they could go to and say this is my representative, and they (both) test at the same time the same day (as NASCAR), and the results are the same, then we could say it's a 'positive,' and if they're not, that would give a different perspective. "Until we do that, no matter what is found to be positive, no matter what the tests results are, there is always that little impression of maybe there was a mistake." Has there been any serious discussion among drivers in the NASCAR garage about such a second testing operation? "I don't know...I think that (concept) was brought up early on in this testing stuff. I don't know that there has been any more serious discussion," Edwards says. "Really, at the end of the day, what does a guy -- who doesn't drink, doesn't do drugs, doesn't have any chance of being in violation -- have to gain by subjecting himself to these tests? "He has the huge potential -- which is real, because this is an imperfect world -- of having a false positive, or having something happen. "And that is really scary for a lot of guys in the sport...when you go in there and subject yourself to that." 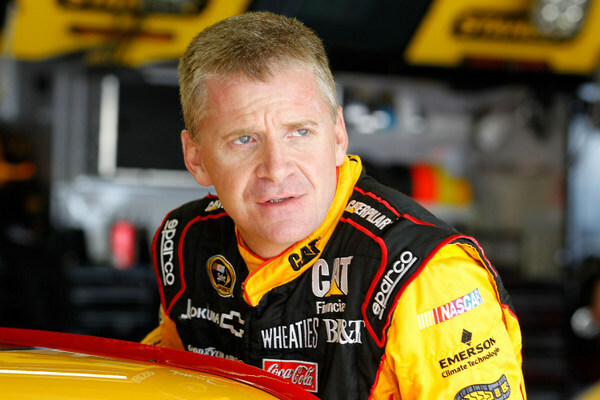 Jeff Burton says he's sticking to the list of approved supplements from the National Football League Players Association. The NFL and the NFLPA have been testing supplements since 2004. The program is apparently under the aegis of http://www.nsf.org/ . Jimmie Johnson, who has taken his own fitness program to a new level this season, running in a triathlon Sunday, just the day after the Daytona 400, says he was "certainly shocked" at the Allmendinger situation. "Especially the way that it unfolded so late in the day on Saturday prior to the start of the race. "I'm not sure I'd get any answers if I talked to anyone, but in reading the articles and watching it unfold, I just don't know where the truth is or what's really going on. "But in time we'll all find out." Yes, Johnson takes them. "I did check my supplements prior to taking them. I just followed the protocol that's laid out in the rule book....and I've talked to Dr. Black (NASCAR's chief drug tester) myself and the staff that's involved from the supplement side...and also on the medical side with NASCAR, which is a different group, on my prescription things that I take for allergies, and all that kind of stuff.
" I just follow the protocol and everything has been fine. "Prior to taking supplements, I worked out the list I wanted to take and submitted it, and four or five days later I heard back that everything was approved. "It's just stuff you buy at GNC anyway, so I don't think there’s a ton of concern. "But on the medical side, at the start of each year when we get our physicals, I make sure I lay out anything. I've had some prescription changes mid-season, and I make sure that I file those as well." Johnson says he didn't realize Allmendinger's apparently failed drug test was administered the week prior to Daytona, though it was only revealed last Saturday. "I didn't realize... it took that long to get the results back. "When you're not in question, you just go about your day and don't worry about it. "But we're all paying attention now, and wondering." 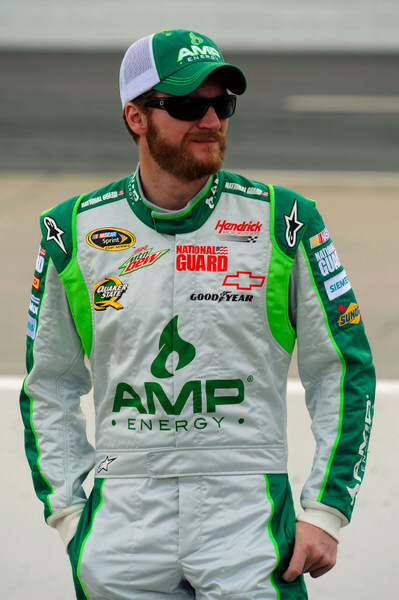 Dale Earnhardt Jr. says he's both curious and nervous about the Allmendinger situation. "Anytime somebody gets in trouble, regardless of what it is, when you don't know the true identity of the crime, or don't have a real understanding of the chain of events, everybody gets curious, nervous whatever," Earnhardt says. "I'm certain that, as big and structured an organization as NASCAR is, and the agency they have that works with them on their drug program, they can't make any mistakes. They can't afford to make any mistakes. "I have to believe they are making the right calls, and the right choices, and there is a reason to make the call they made. "Even though you don't get what you want in terms of details, you have to believe that the program is true. And it's definitely a good thing to have. You just have to believe in it, that they are doing what's right, and they aren't making any mistakes." Nevertheless Earnhardt says "everybody is just kind of nervous about not knowing nothing. "I'm more nervous about it being a mistake-- or the agency making a mistake -- and it being a big problem for the sport. "You just don't know how that could happen. It's just hard to wrap your head around anybody making a mistake... or a driver making a mistake... or the agency making a mistake."